The Icon Matt Hardy says the infamous Table, Ladders and chairs he had in the World Wrestling Entertainment when he teamed up with his brother Jeff Hardy to make up the Hardy Boyz left a mark on their body. 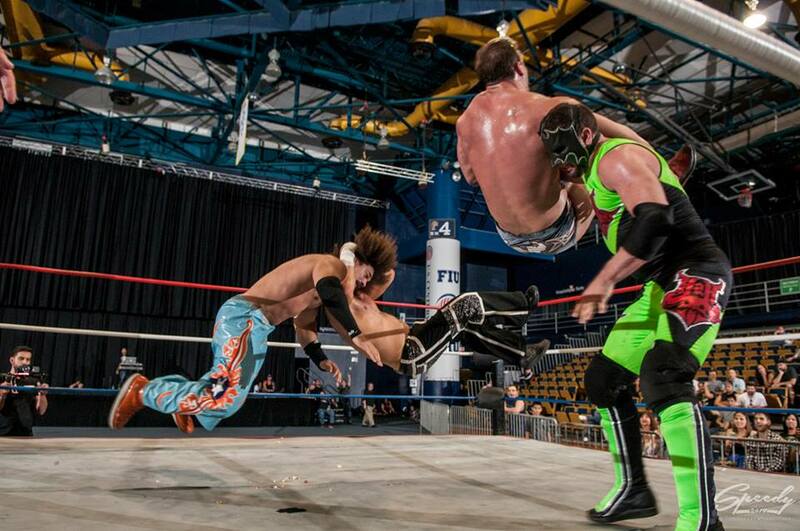 Hardy wrestled recently as he teamed up with Shane Hurricane Helms against Carlito and Chris Masters at the Continental Wrestling Federation’s Maximum Force event in Miami. The Hardy Boyz, the Dudley Boyz and Edge and Christian had Table, Ladders and Chairs in the WWE, which were memorable and made their careers. Hardy said every match had its battles. Also at the show, it was a first for Hardy as for the first time in close to twenty years, he teamed up with Helms, the founding father’s of the OMEGA promotion. He also talks about the independent scene, wrestling Tokyo Monster and more. Watch the complete interview, now.